One of True Blood’s premiere Directors, Michael Lehmann is to direct a new pilot , “Betas” for Amazon. The show is to be about Silicon Valley and “four computer geeks and their quest for nerd fame”. 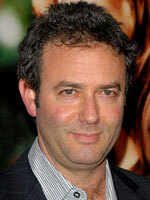 In addition to directing many of True Blood’s episodes, Michael Lehmann’s best known work is as the director of Heathers, but he also directed 40 Days and 40 Nights, The Truth About Cats And Dogs, and a whole bunch of episodes of American Horror Story, Dexter, Californication, and Big Love and more. With the recent move to online TV shows like Netflix’s hit, House of Cards, it looks like the internet is going to be giving competition to the networks. This is the 8th comedy pilot that Amazon has green-lit so far, following Alpha House, Browsers, Dark Minions, Onion News Empire, Supanatural, Those Who Can’t, and, of course, the Zombieland series that was just announced earlier this week.